Hoe staat het eigenlijk met de CS7000? 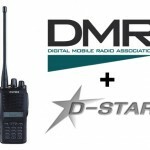 Begin oktober en november hebben we bericht geplaatst dat de CS7000, de nieuwe DMR/D-Star portofoon van Connect Systems Inc., half november een release zou krijgen. Helaas is deze release om verschillende redenen wederom vertraagd. Om toch een beeld te krijgen van het verloop van het proces om te komen tot de productie van de CS7000 heb ik de communicatie van Jerry Wanger CEO van Connect Systems Inc. uit de betreffende Yahoo Group gedestilleerd. Soms is het onsamenhangend maar het geeft een beeld over in welk stadium de productie van de CS7000 verkeert en wat er bij komt kijken om deze portofoon te maken. We hopen half januari over een exemplaar te ontvangen om deze te kunnen reviewen. Er is review software beschikbaar van de nieuwe CPS van de CS7000. Deze vind je hier! 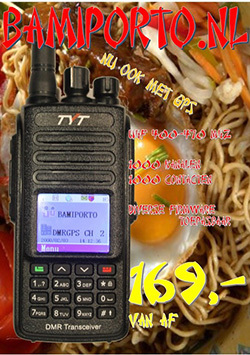 This radio is defined for the Amateur Market and will have an introductory price of $249. Capable of doing DMR, NXDN, dPMR, P25, ANALOG, D-STAR, AND FUSION Protocols. 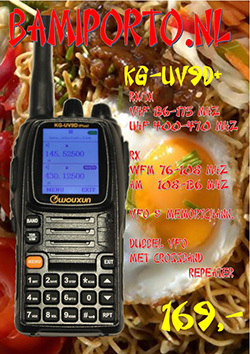 This radio is built to commercial strandards and will cover commercial frequencies. The first version will ship with Analog, DMR, and D-STAR protocols with future firmware updates allowing other protocols. Because of the current back-log of orders, we probably will not be able to ship new orders until March. Expected Delivery is January 2015 or before. We use a varactor tuned front end with double conversion superhet and separate xtal’s for both wide and narrow band. You should have no problems with those frequencies. I added the second filter to the radio (See Rev B in the file section). I know it still needs the blocking capacitor but sometimes it is better to have them do things in small increments. I still have to go through the schematic with a fine tooth comb and see if the filters were added correctly. The topology is different than what I gave them but it might be equivalent. So if someone sees something else they think is wrong please tell me. We had to change the design (see old postings) and the cost to do the DMR in hardware cost us about the same (and possibly more) than the WiFi module. We expect to ship a very small amount of CS7000’s in January, a few more in February and the rest of the back orders in March. Right now everyone who has applied has a paper with a date on it. We have not sorted for number of request or duplicates so cannot give you the information at this time. I would expect at least 1000. We have more memory space than the CS700. However it haw not been decided yet. It would be my guess we have enough space for at least 10,000 contacts. Considering that we sold over 2,000 CS700 radios to United States Amateurs, my guess the number would be over 1,000. In about 30-60 days contact me and I will give you something to translate for the German Market. To do an Android radio is not too difficult however I do not see the purpose at this time other than an interesting toy. To do a usable IP stack could easily be done in less than 10% of the available memory we have in the microprocessor we are using. At this time I do not see the need in a portable. There is a misconception that coding has to take a lot of memory. Back in the early part of this century we developed a VoIP radio interface based on Linux and a standard H.264 interface. I believe we used about 500 megabytes of ram to run the packages and have a working system. It did not do what we wanted and we developed our own design from scratch. The total amount of memory ended up being about 200K. Windows and WORD takes a computer now with a Multi-Gigabyte ram. Back in the 1980’s, we ran a basic word processor in about 8,000 bytes of memory. A more sophisticated one took about 16,000 bytes. The TP154 Community Tone panel and Repeater Controller runs in 8,000 bytes of code with 128 bytes of ram. It encodes and decodes all 50 CTCSS tones and 104 DCS codes. I got sloppy with the FLEX SERIES PAGING PATCH and that takes almost 60K of code. I probably could squeeze it into 24K or less if I had to. Back in the 70’s we ran Fortran Compilers with only 8K of memory on an IBM 1130 computer. Total disk space was 5 Megabytes. People have lost the art of efficient programming. You could do that with a product like the FLEX V DSP SIP hooked up to a DMR repeater and modified slightly to accommodate the e-mail. However if you do that you might as well have a cell phone. The interface to update programs and data will be well documented. The program that does programming and updates the firmware will be released in source code and therefore some of the better programmers will take what I have and release it in Linux and native MAC. Why is external storage so interesting in a radio. What application and how much memory do you need to support that application? The USB port in theory can support external memory. There is already plenty of memory for a code plug. Why do you need external storage? Even more important, how are you going to manage 10,000 contacts in a code plug. That approach is not good for radios because you probably do not want to store the raw code plug on the radio but a stripped down version that only contains the relevant data needed to make the radio work. But it is an intriguing concept. I would expect the raw code plug to be in the megabyte range but the data stored on the radio only 100K bytes. If you want to give up much functionality, then the code plug could be a binary image of what will be stored on the radio. You will see the details soon but I am not willing to compromise by saying it has to be universal and run in all operating systems. The software will run on PC’s from Windows XP on up and will be better than the Motorola CPS and the current version of the CS700. We will supply the source code for the software and you will be able to easily modify it to run in Linux, Unix, and all versions of MAC. For those people who have nothing better to do can even modify it to run in Windows 3.1 to Windows 98. It will have a full GUI and the Raw Code Plug will be human readable and easily modified without knowing about the program that generated it. If someone can write a universal driver that can strip off all the fluff, load the data from the PC to the CS7000 and takes less than 5,000 bytes I would be interested. Hardware will not support external card and plastic case takes months to re do at a high cost. I have 8 megabytes to work with. 8 megabyte flash and 1 megabyte firmware. From the outside, the CS7000 looks like the CS700. Source code will not be available for CS 700. CS7000 about end of December will see a lot of Kernal posted. While it would be easy to write a utility to port the frequency files from RT or Chirp to the CS7000, it does not make sense to use those programs to do all the programming for the radios. Because of the availability of source code, it will be fairly easy to convert to other platforms and languages. I do not know Python so it is not easy to understand. I personally prefer easy to understand assembly language. I am not interested in supporting other radios. Other than Windows whose standard changes every year or so after each new release, there really is no standard User Interface other than what some programmer defines as a standard. That said I will make it easy for the Chirp experts to convert Chirp to work with the CS7000. The CS700 source code is proprietary to the Manufacturer. The CS7000 source code will start to become available before the end of the year on the CS7000 Yahoo group. The RF is the same as the CS700. The baseband hardware is designed to work at a 16 KHz sampling rate with a 12 bit A/D and D/A converter. It uses two point modulation. I will double check the schematic today. I could have made a mistake. The speaker/Mike gets processed through the A/D and D/A on the C5000 chip while the RX and Tx from the R.F. section gets processed through both the C5000 for DMR and A/D and D/A for other formats. There are definitely better chips for SDR but then I would have to start from the beginning and would take much longer. Some of the Analog DSP chips is better. If I used some of those I could eliminate the C5000 for doing DMR but then it might take an extra year or two to get the first radio in production. 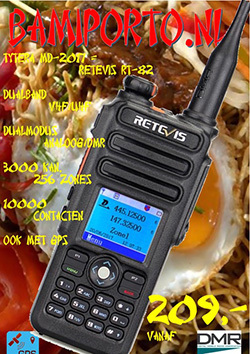 My next generation of radios beyond the CS7000 will be for a radio that can far exceed the capability of any commercial two way radio. This will require a different R.F. design and much higher speed microprocessors or DSP for processing the baseband. GPS will not be inside the box. Could be an accessory. The dual band multi-protocol radio will probably be sold later 2015. I would expect the CS8000 Multi Band and Multi Format radio to be less than $500. I have not started the design so it is too early to determine prices. The europian release wil be at least a month after it is released in United States. 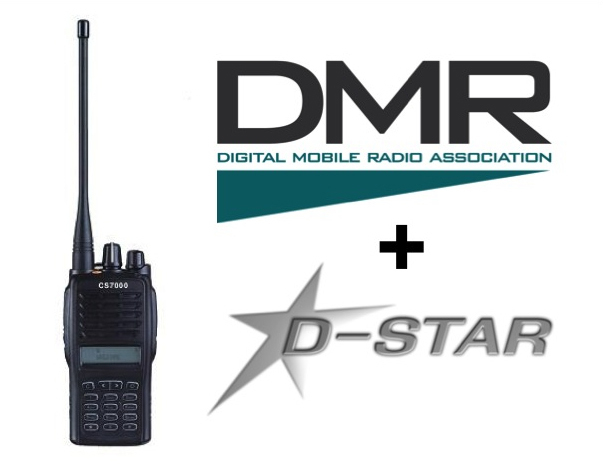 First the CS7000 has to be in production, then a mobile dual band DMR only radio in production, than combine the CS7000 with the dual band mobile and we will have a CS8000. The CS8000 is a mobile. Maybe a dual band CS7000 should be called a CS7200. However we have no current plans for a dual band portable. I expect to make 10 CS7000’s in January. We have a back order for a few hundred. You can do the math. If you look at the original design the WiFi was going to be built in just for the reason you mentioned although it had other uses. It was taken out because there was a choice due to real estate inside the radio of having a DMR Chip or delaying the project a year. The white paper in the CS7000 Yahoo group file section shows that feature. Power was never a reason not to put it in. The power for the WiFi modules was within reason and standby was almost zero. I attached a preliminary version of the PC programming software for the CS7000 (onder “bestanden te downloaden red.). There is NO claim that this is finished and we are asking for people to test it. This is only a work in progress and is shown only to get a preliminary idea of some of the features that will eventually be in the radio. I will release it again soon when more of the features are shown in the various screen. If you have any comments on features shown or not shown this would be a good time to comment. Now for the people who are into the Chirps programming… Based on what you see will this be compatible with Chirps? How about the RT software? Try running in administrative mode. If still does not work I’ll find a Windows Laptop and try it myself. There are a lot of features in this radio that will not be supported in the near future. The reason for putting them in now is because it is cheap (in time) to put it in now and expensive (in time) to add in later after everything is finished. We will probably never add the Motorola Proprietary Encryption but that does not mean some enterprising amateur will not do it. I am going to put some hooks in both the radio and this PC program to allow other people to easily add other features without having to spend days redoing the underlying program. If you notices I have some spare fields and spare pull down menus. That is for the Ham Community to add new features. You want to sort the Zones or Channels by the middle letter of each word, just add it to the spares. You want to have the zones sorted by name but have Little Rock always #1, just add it to the spares. How about having this program useable by a visual impaired person who only speaks Latin. The source code will be available to modify. How about having this program also program a Motorola XPR 6550. Well for that you are going to have to spend about $255 for a Motorola License. I just looked at the Chip website and I was underwhelmed with the documentation that shows what it does and overwhelmed with the number of radios it supports. I find it easier to start from scratch than to modify a mostly undocumented source file. 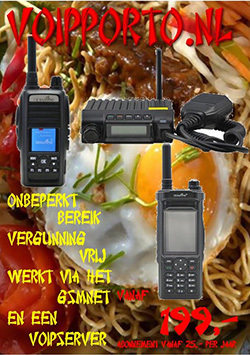 This entry was posted in Connect Systems, D-Star, DMR Apparatuur by Peter PA3PM. Bookmark the permalink.